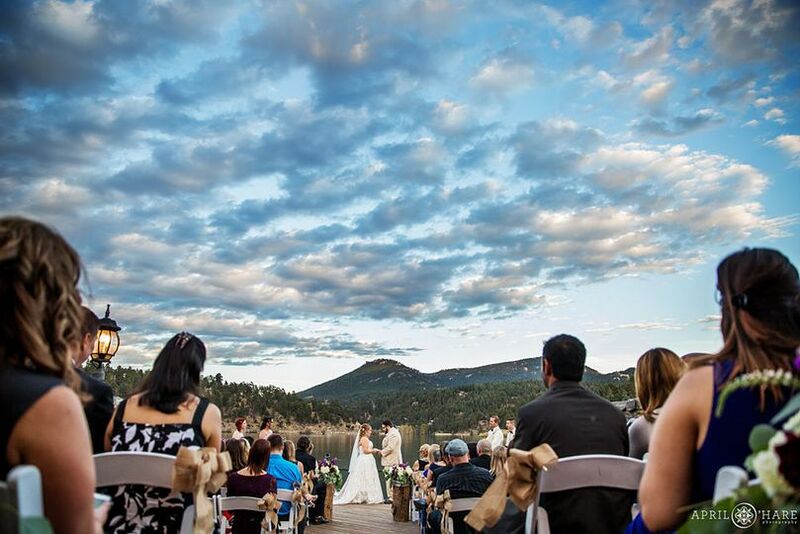 This picturesque venue is perfect for wedding ceremonies, receptions, and rehearsal dinners. 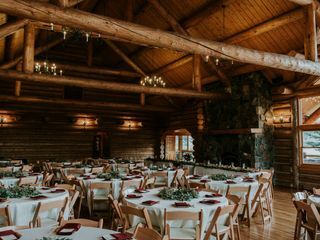 With 5,000 feet of entertaining space, the Evergreen Lake House features a great room, which can seat up to 200 with a large stone fireplace, and a smaller octagon room, which is often used for a buffet. 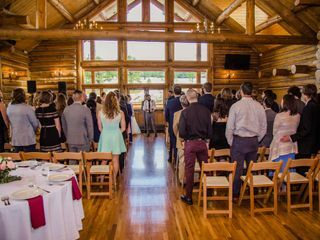 For outdoor ceremonies, the deck can seat up to 80 with additional standing room for a charming and intimate wedding ceremony celebration. 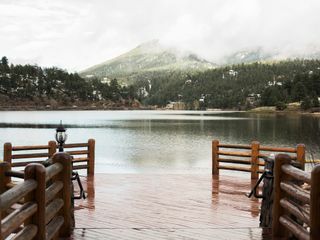 There are log railings around the deck with a flagstone step to the grassy area. 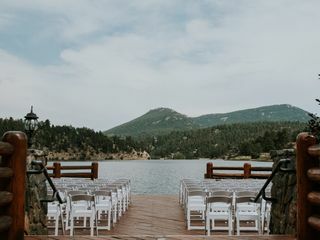 The railings can be decorated with flowers or greenery, allowing guests to take in the beautiful shimmering lake beyond as well as the surrounding mountain views. 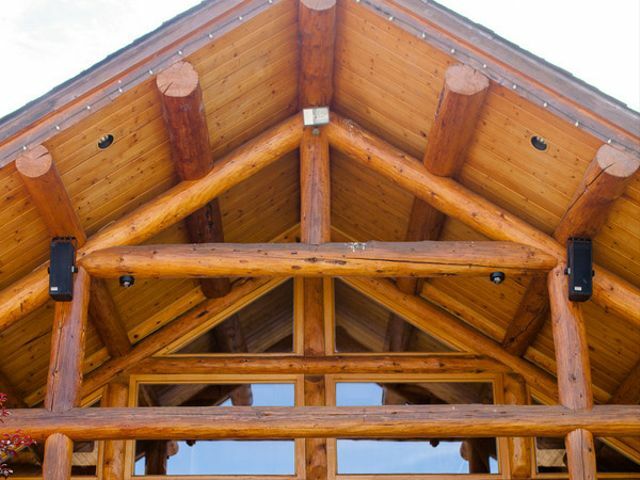 This lake house is a beautiful log structure with a deck right on the lake and beautiful mountains in the background. 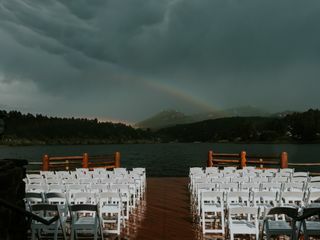 It’s a stunning spot for the ceremony. 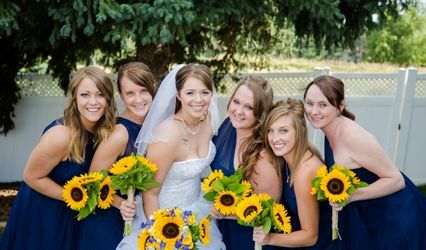 The pictures turned out great! 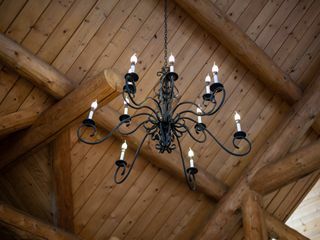 The lake house is beautiful in the inside with chandeliers and logs. 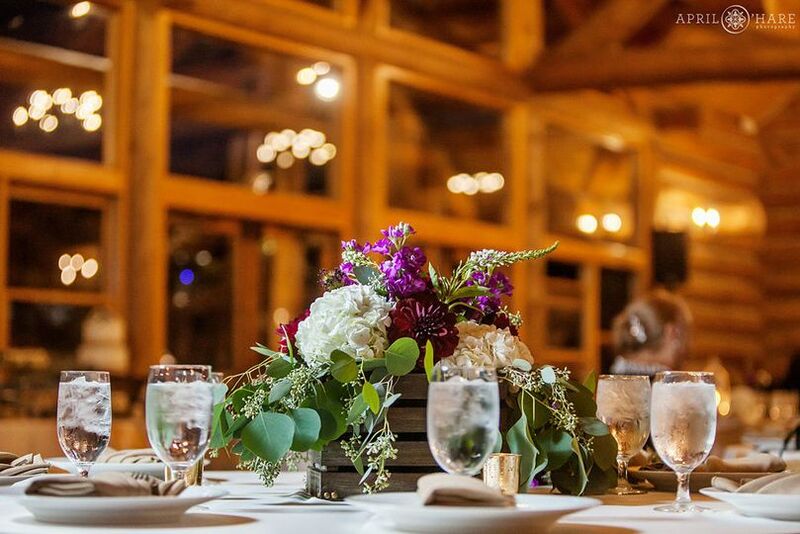 Such a rustic and classy setting. 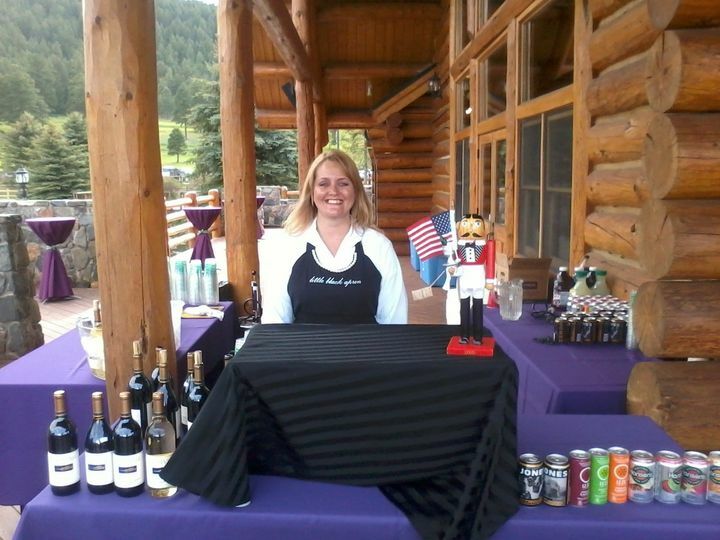 You can choose your own caterer from a big list, and any other vendor is your choice as well! 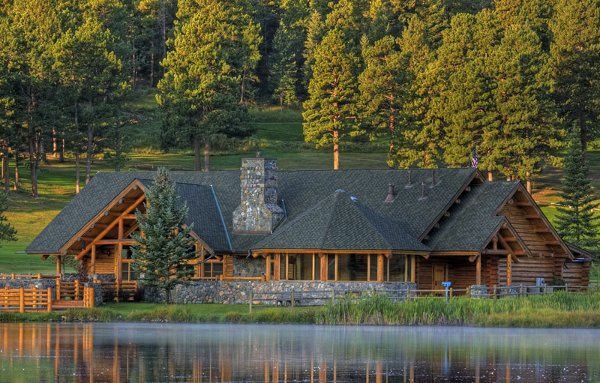 I love how close it is to the city too so Colorado guests don’t have to pay for a hotel. 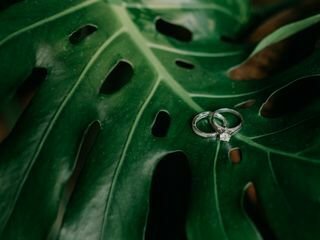 This location was amazing!! 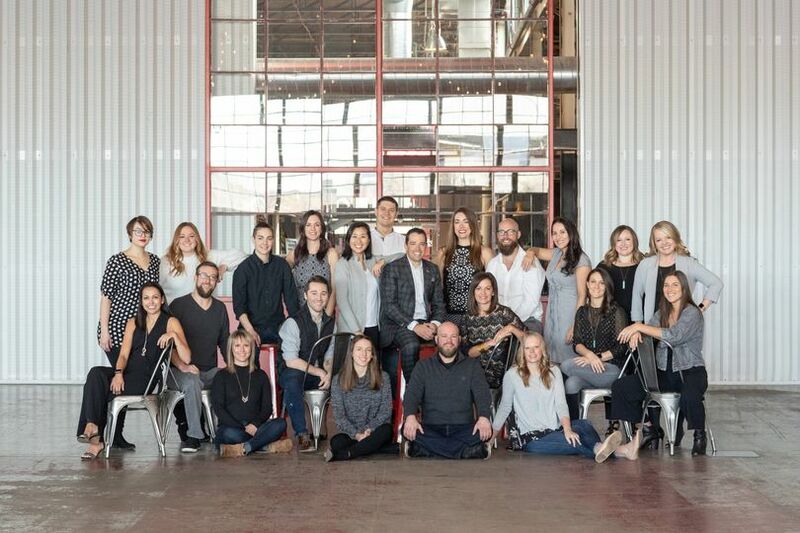 The staff made everything flow and we didn't have anything to worry about. 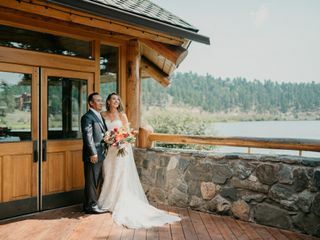 We are so so so SO happy we chose the Lake House for our wedding! We live in Evergreen so it's a treat to be able to drive by it all the time. I know people say they aren't huge fans of Lorna but I disagree--you just have to get that she's not a "cheerleader" personality and has a dry sense of humor. I think she is great to work with! 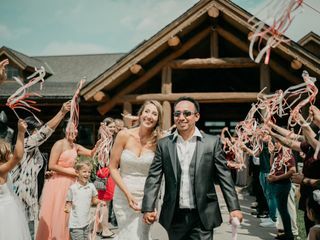 We changed our date twice, by no more than a couple weeks each time, and had no problem doing so--Lorna was extremely accommodating for this and during every other step in the process. 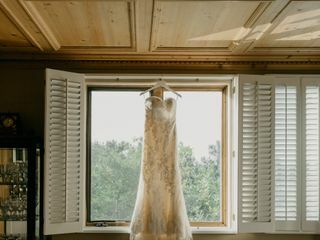 We also really enjoyed working with Christine, with whom we met for the final walkthrough and who was sweet and funny. She was SUPER on top of things when the forecast brought us SNOW on our April 30th wedding. 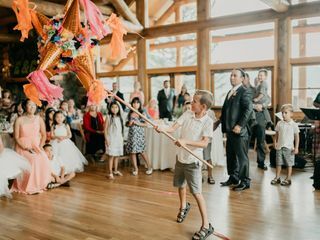 She exchanged e-mails with us and our day-of coordinator the week before about some great ideas and really helped us adapt to the change in plans for our outdoor wedding (which now included market umbrellas and lots of quilts to keep our guests warm so we could still have the ceremony outside). 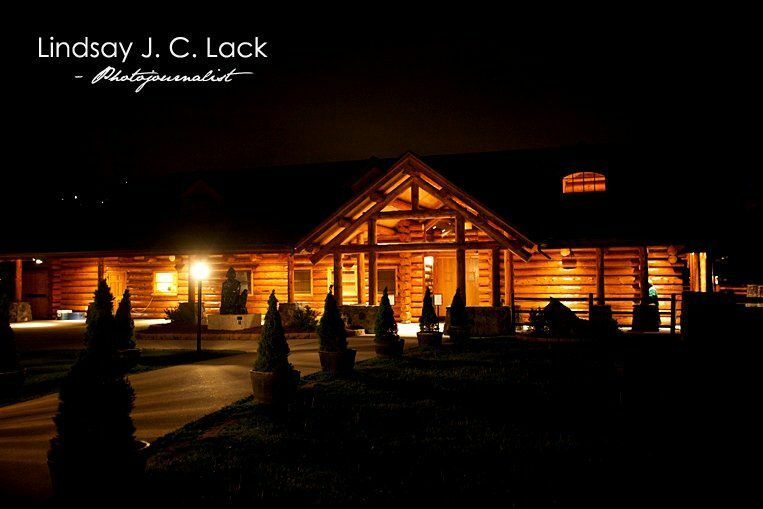 As for the physical venue itself, you can't really beat the Lake House. 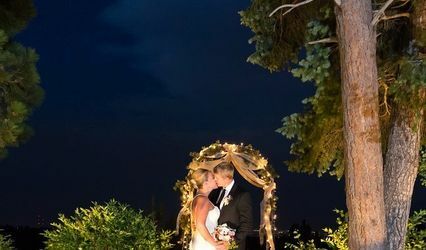 It's naturally just so beautiful that you hardly need any decorations to make it really stunning for your wedding. The fireplace inside is also awesome and has a mantle you can decorate to make it look super romantic. 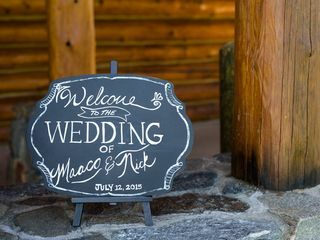 The fee is pretty expensive but does include high-quality, white, wooden chairs for the ceremony, as well as all your tables for your reception. 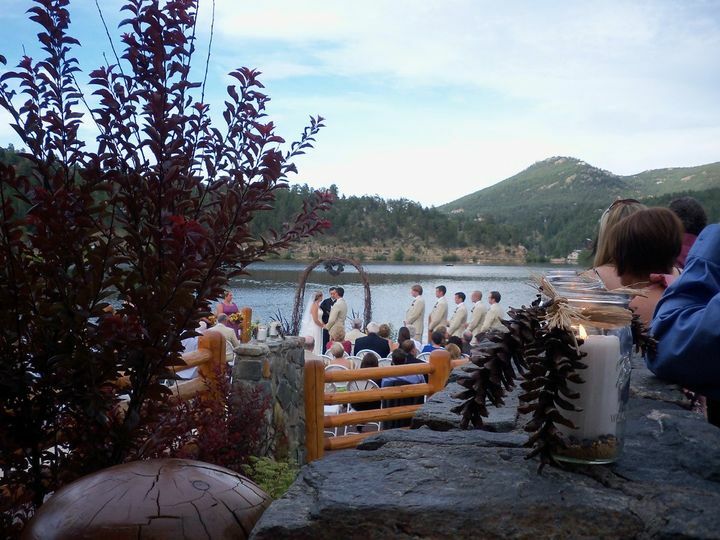 Evergreen Lake House is the perfect location for anyone looking for a true Colorado venue! 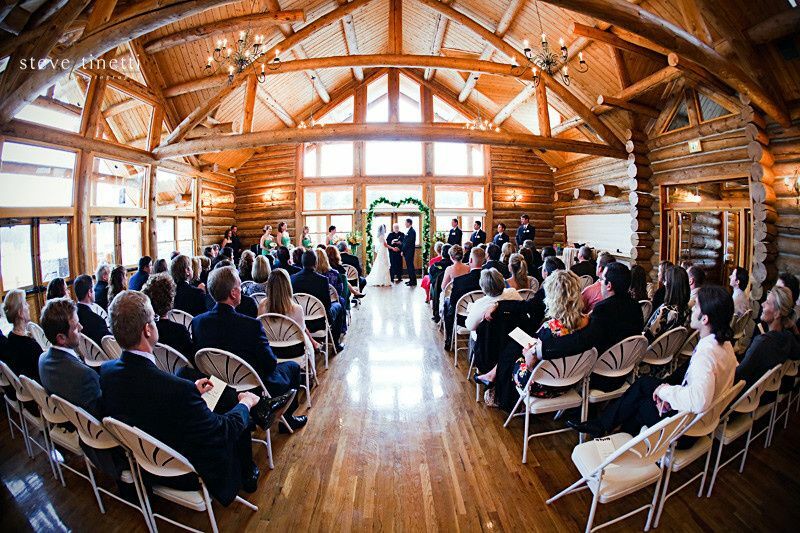 This gorgeous venue has the log cabin feel while being spacious enough for 200 guests. 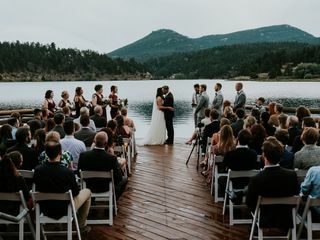 Their deck overlooks Evergreen Lake which is perfect for a ceremony backdrop or cocktail hour for an event. 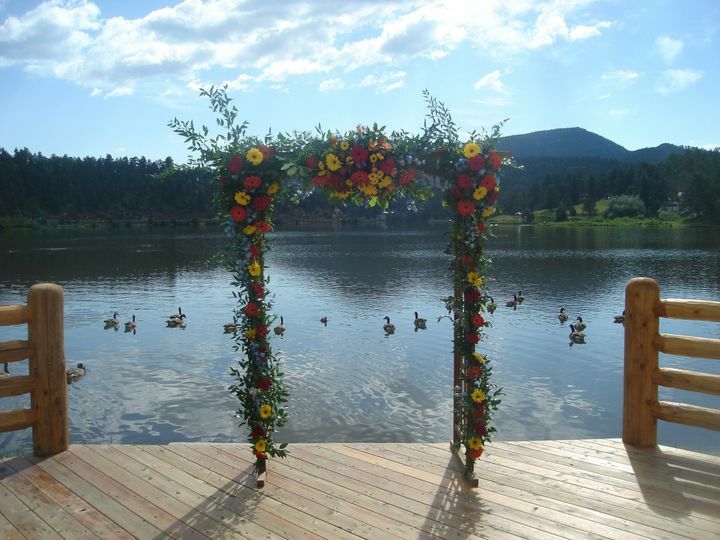 We especially love weddings at Evergreen Lake House as the ceremony site is stunning! 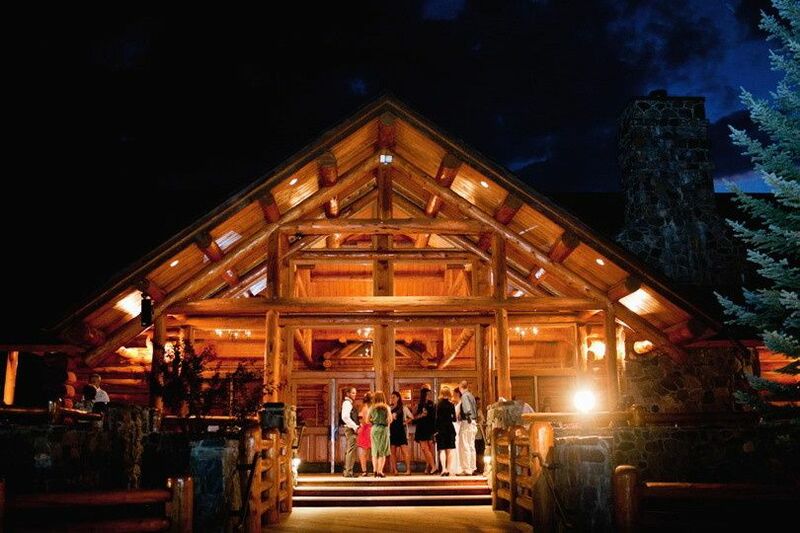 We highly recommend this venue for anyone looking for that Colorado feel. 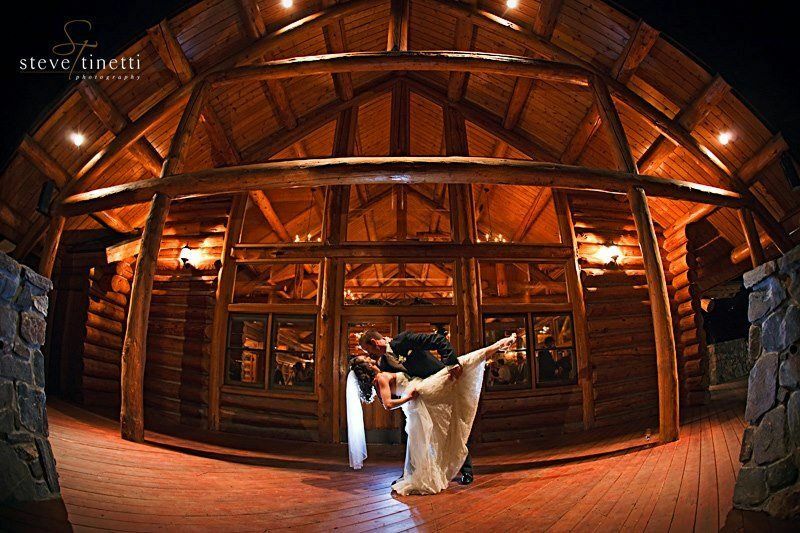 The Evergreen Lake House is such a beautiful venue. 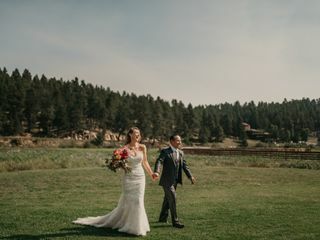 The lake, surrounding trails, wildlife and open green space makes it for one of the most scenic and versatile venues in the area. 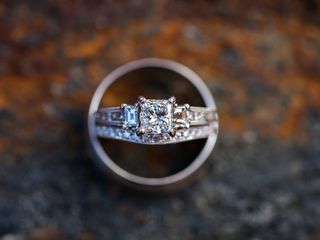 It&apos;s one of my favorite venues to photograph at (especially for engagement sessions).